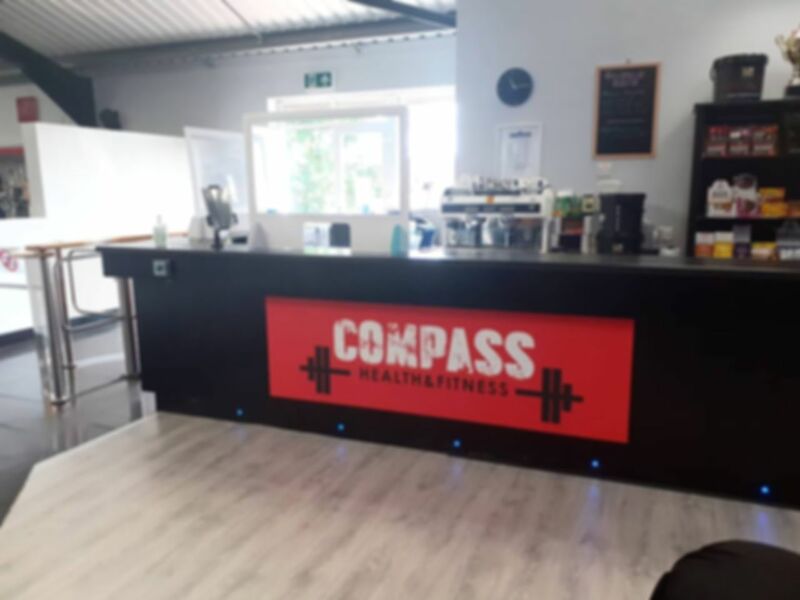 Welcome to Compass Health and Fitness, a revelation in the fitness industry where the need for a caring, professional service with friendly staff and state of the art equipment is finally met with affordable and flexible prices. With a large range of cardio and resistance equipment at Compass Health and Fitness, people of all ages, shapes and sizes can train in an environment where they feel safe, comfortable and cared for. Great range of Plate loaded, pin loaded resistance kit and a variety of cardio kit, functional training area, large studio with a large variety of classes & spinning area. We offer a Full range of Classes, most are included in the price. iIncluding Zumba, Piloxing, Spinning, Dancercise, Pilates, Kettlebell classes, Kettlecombat (yoga and Jiggy Jump are an extra fee & open to non members). Compass Health and Fitness has been designed to fill a niche in the market, allowing members to train with a substantial weight selection, as well as having a large cardio section that is non-intimidating and welcoming for the first time exerciser. Thank you so much for the feedback! We really appreciate it! See you again soon and watch out for more improvements coming soon! many classes available just need to find out the times either on facebook or call the gym. i attended a spin class which was very good and with good quality bikes. the gym wasn't too busy so if you fancied a general workout you could have a good quality with little waiting time to get on equipment. Thank you! Hope you like the new lifting room!